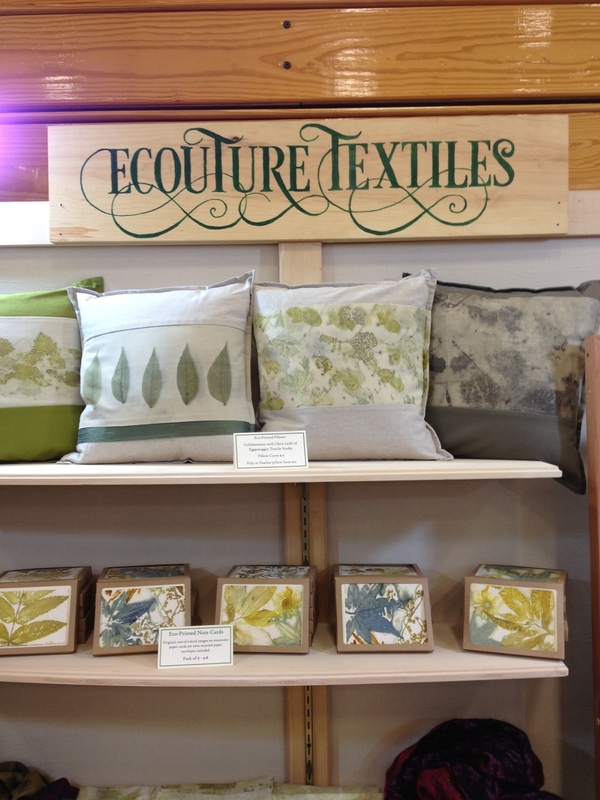 We are surrounded by nature and wrapped in textiles, why not combine the two? Each piece is one of a kind, 100% natural, and dyed with local plant material or sustainably sourced natural dyes. 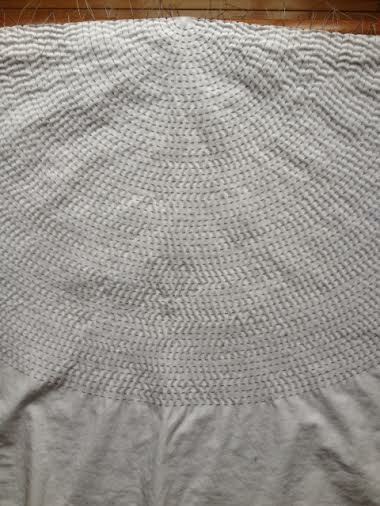 Eco Printed Dress - silver maple and tufted bindweed; original pattern. 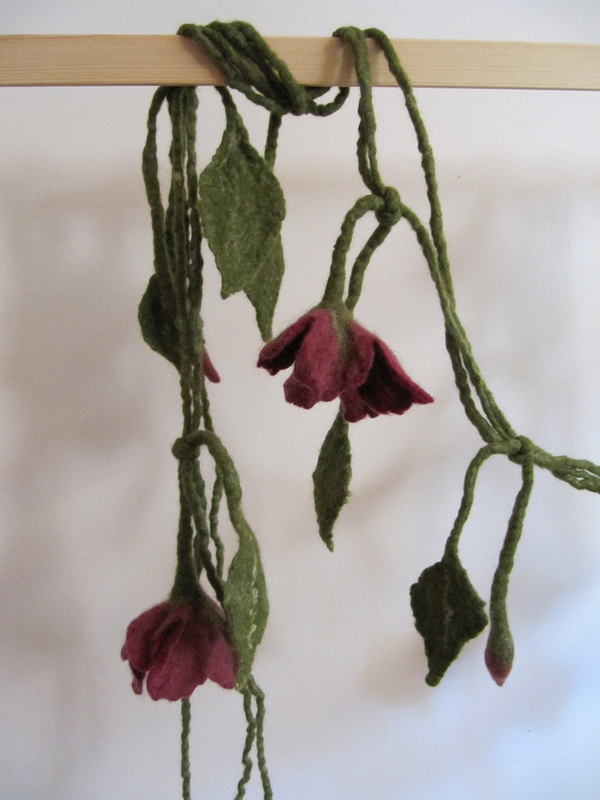 Nuno felted shawl. 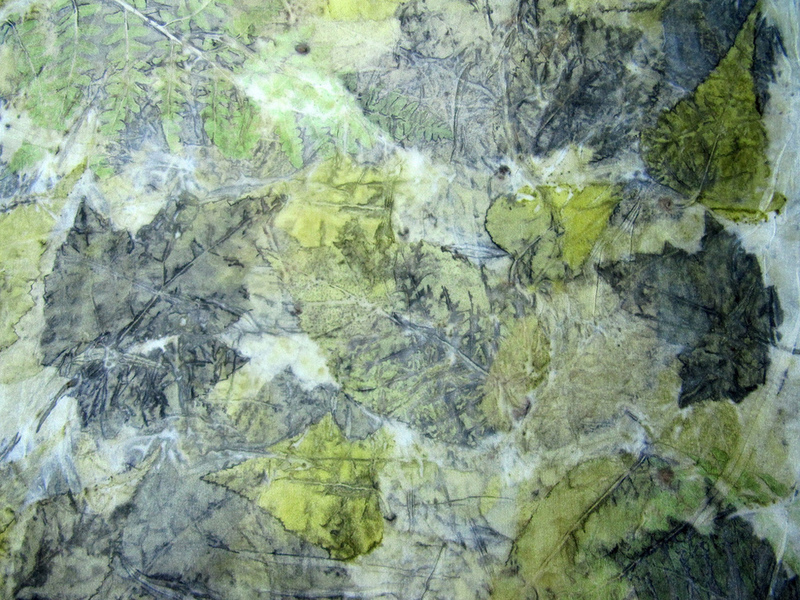 Black walnut leaves printed on habotai silk. The brown speckly images are made by the back side of the leaf, the green prints are from the front of the leaf. 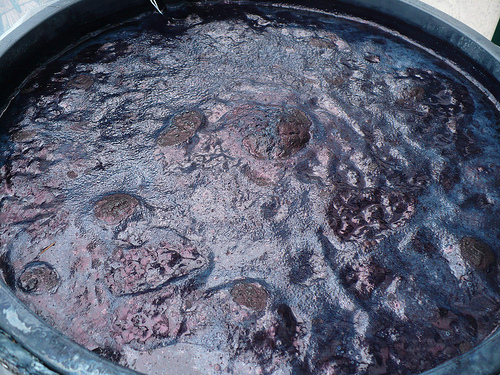 A healthy indigo vat with a lovely "flower"
Thousands upon thousands of running stitches are made and gathered to create pleats in the fabric to prevent the dye accessing certain parts of the cloth. 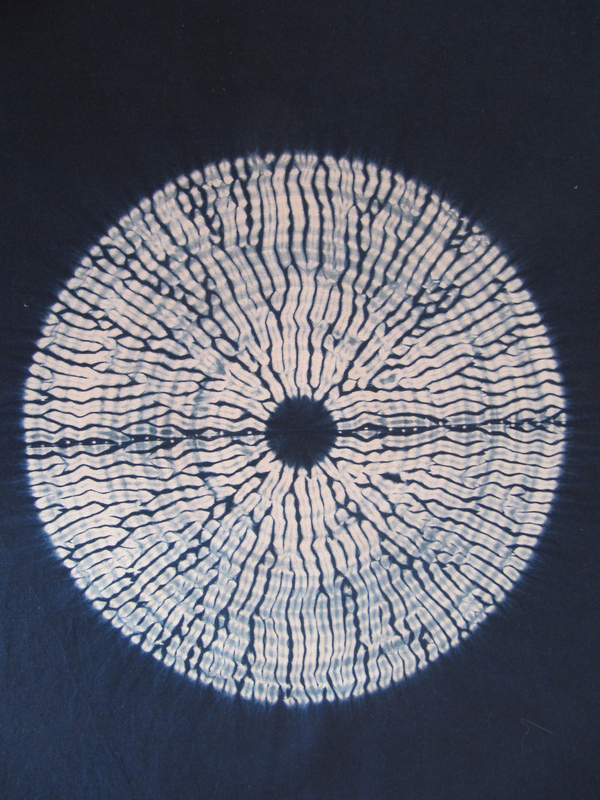 When dyeing is complete, the stitches are removed and the resist image is revealed.